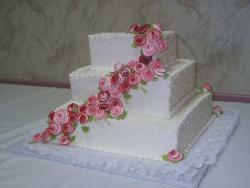 Here you will find hundreds of photos of cupcakes wedding cakes, traditional bridal ones, newest and trendy cakes etc. If you're looking for an amazing, beautiful cake for your special day or even a funky tower one, hopefully some of these pics will help you come up with an idea/inspiration for your special event. While going through the numerous wedding cake pictures the brides and grooms get a lot of creative ideas so as to have the best wedding cakes for the marriage party. 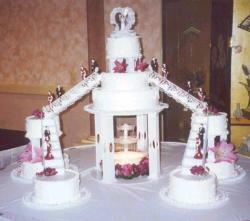 Most of the brides and grooms see to it that while decorating the wedding cakes, it is done according to their passion. They design awesome wedding cakes that will appear as a symbol of the married life into which they will be entering. In some cases the pattern and various decorative aspects of the wedding cake reveal the type of vacation they are going to have after their wedding. Some of them develop their wedding cake idea in such a way that it resembles the wedding invitation cards that they have already circulated. 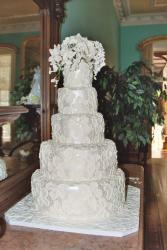 The best wedding cakes not only are superior not only in taste but also in appearance. 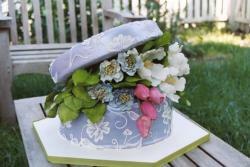 The flower toppers are provided to make the cake truly exceptional. The cherry blossom cakes are really amazing not only in their beauty but also in taste. 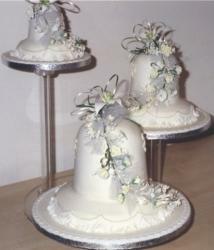 Lemon custard and chocolate are used as fillers to make the wedding cakes tastier. 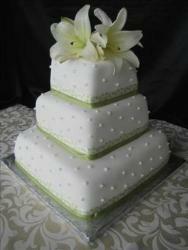 By way of providing a simple design for the cake many people make them awesome wedding cakes by decorating them lavishly (but eloquently) in different colors and themes. When the wedding cakes in a variety of flavors are kept for the party, the guests will have the temptation to taste a least a small piece of each of the cake. Favorite quotes also can be a feature of the wedding cakes. One can select the quotes from popular poems or movies or even from their own writings. These cool wedding cake pictures also give the idea to decorate the cake further using confections such as oatmeal cookies or truffles. Those who are eager to make awesome wedding cakes may first of all go through the top tips provided by the popular wedding cake bakers. As the next step, they can choose the pattern and style of the wedding cakes by going through a collection of wedding cake pictures. 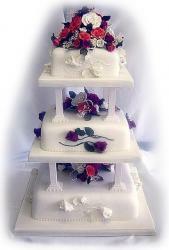 One can gather wedding cake idea for a variety of tastes by choosing classic cakes and other types of wedding cakes that are made in ornate styles. 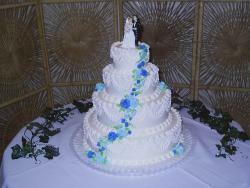 The excitement while cutting the wedding cakes makes the wedding party a memorable event. The best wedding cakes entertain the guests throughout the party and when the bride and bridegroom cut the wedding cakes, every one present there will be enjoying the beauty of the cherry blossom cakes or other awesome wedding cakes that are specially arranged for the great event. would love to have one of this beautiful cakes for my wedding.....it is so wonderful..
My grandma is 64 and is getting married again and I get to be the ring barrier,flower girl,maid of honor and I get to make her 6 tier cake and she wants it made out of Angel food cake. 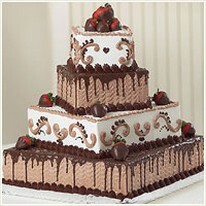 Plus she wants it to be covered in icing roses that are pink her wedding is January 13,2013- it's going to be so fun! wow...i like all the cakes especially the purple one.mmmh,nice! Where can I get the edible hearts at? The pictures look simply awesome especially the five tiered cake which shows the work of creativity.Mind blowing..!! I love your cakes!!! I just love the designs!!!! HI NICE CAKES I wish I COULD EAT THEM ALL- FROM THE TOPSY TURVY CAKE. LOL SEE U ALL Later, Bob.